Epic Vanguard of War pledge! A4 sized, 60 - pages, softcover art book. 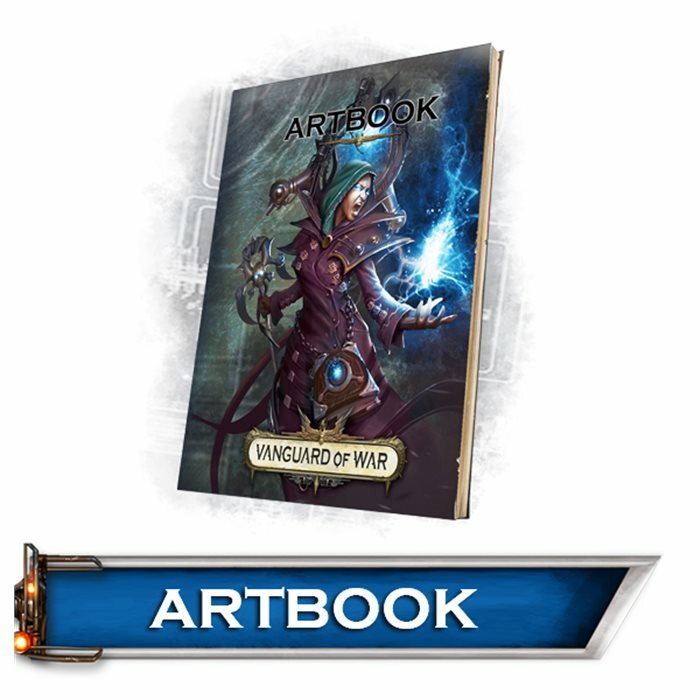 Art of Vanguard of War brings you lore of VoW, from sketch to final illustrations. Take a trip to the dark corners of Aurvelle and Fateera and observe the creation of their inhabitants. 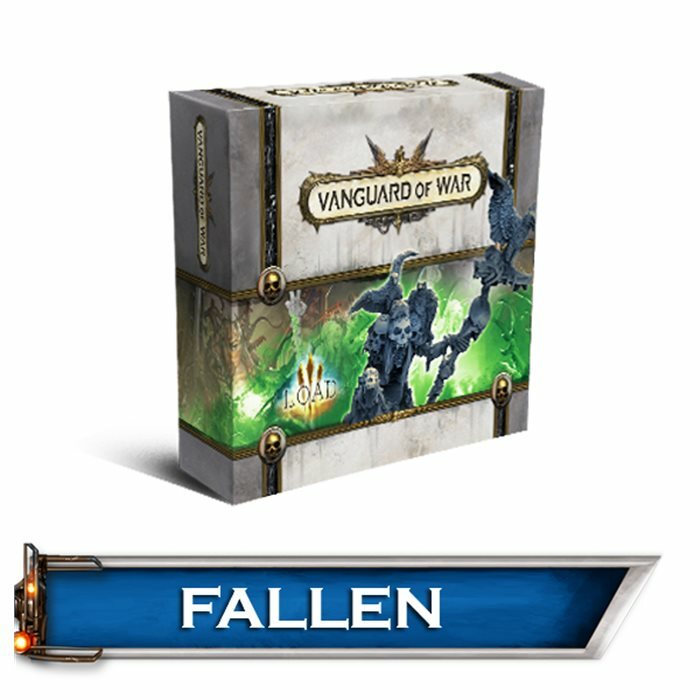 Here you can confirm or change your game order from Vanguard of War Kickstarter. If you want a few items extra next to your game box, this is a right place for you. 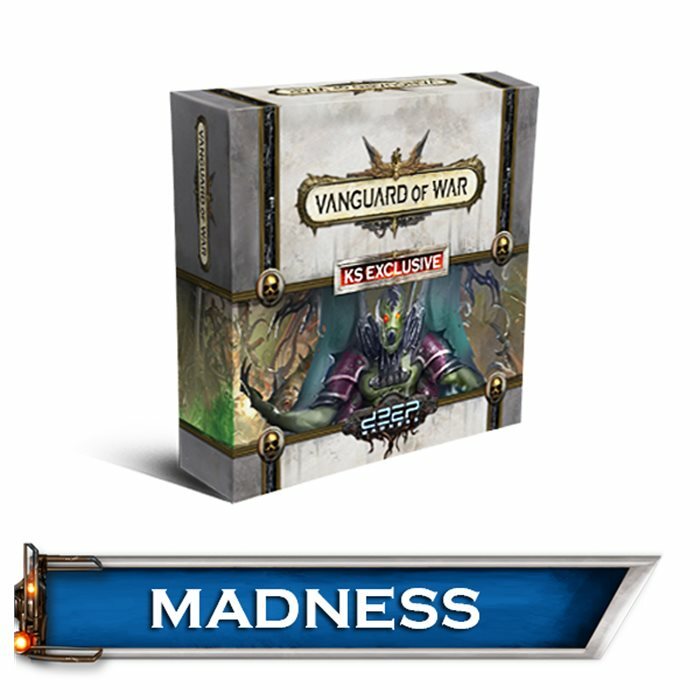 MADNESS expansion contains: Foam insert, 1 x Madness Within Overlord miniature, 3 x Overlord cards, 5 x Abomination miniatures and 8 x Abomination cards. Default language is English but it will be automatically adjusted to match your language choice for main game. 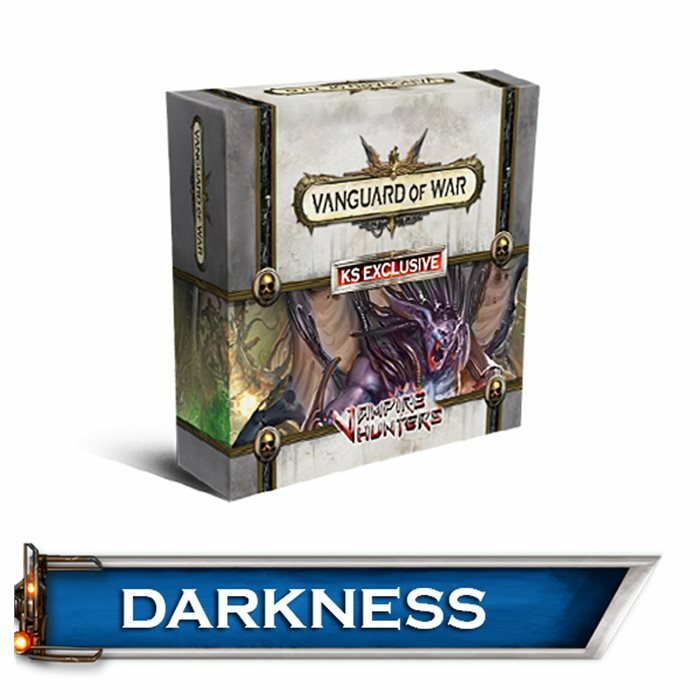 DARKNESS expansion contains: Foam insert, 1 x KOPHAS Overlord miniature, 3 x Overlord cards, 5 x Abomination miniatures and 8 x Abomination cards. Default language is English but it will be automatically adjusted to match your language choice for main game. This Add-On combines Chaos, Fallen and Harbinger Add-Ons. 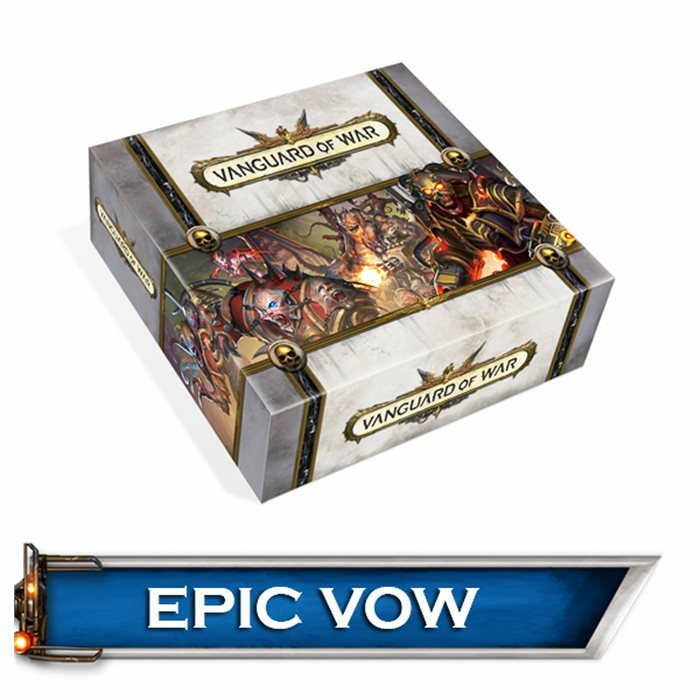 It is only usable if you own LOAD Epic pledge, as you will already own one of each Epic and regular miniatures in it to use in VoW. Combined with your LOAD pledge, you will have 3 Overlord and 15 Abominations to play with. Default language is English but it will be automatically adjusted to match your language choice for main game. 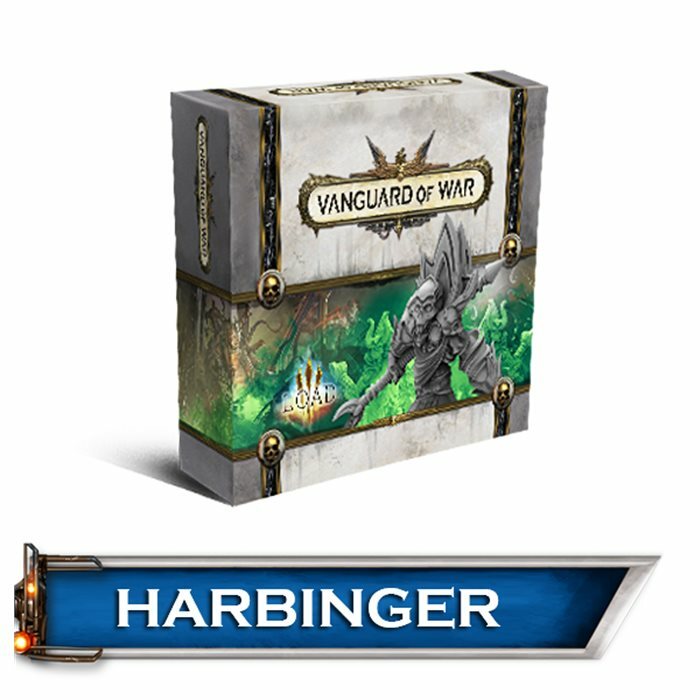 This expansion brings the Harbinger, a hero from LOAD, to Vanguard of War! It contains one Epic version of the Harbinger to serve as an Overlord in the demon armies and five normal versions to be used as Vile Keeper Abominations! Default language is English but it will be automatically adjusted to match your language choice for main game. 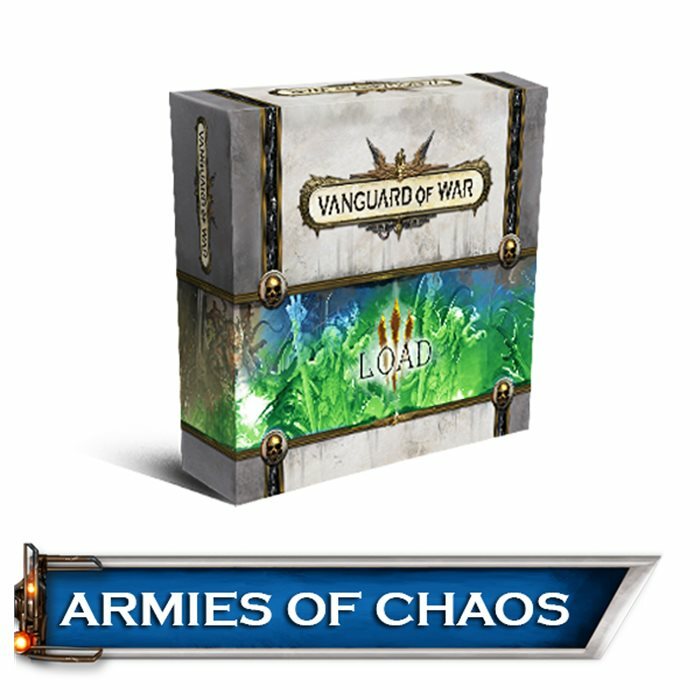 This expansion brings the Chaos King, a hero from LOAD, to Vanguard of War! 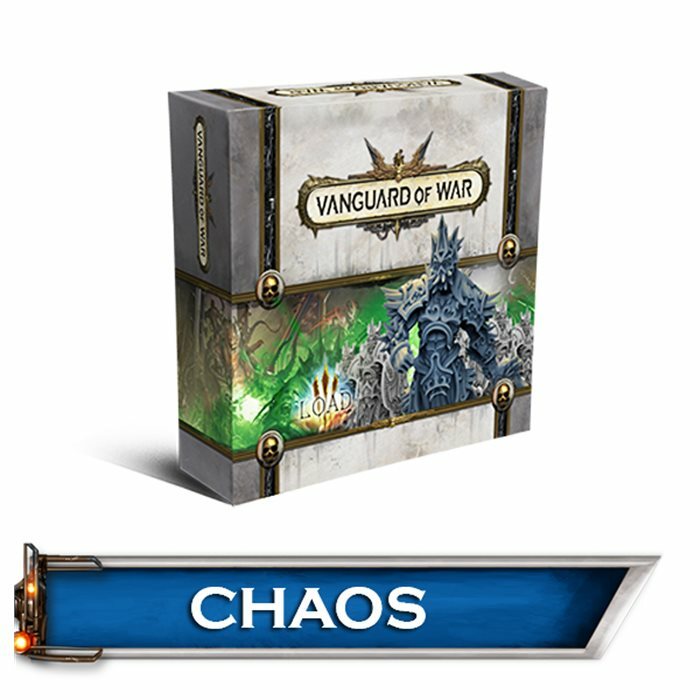 It contains one Epic version of the Chaos King to serve as an Overlord in the demon armies and five normal versions to be used as Chaos Knight Abominations! Default language is English but it will be automatically adjusted to match your language choice for main game. This expansion brings Hector, a hero from LOAD, to Vanguard of War! It contains one Epic version of Hector to serve as an Overlord in the demon armies and five normal versions to be used as Fallen Mage Abominations! Default language is English but it will be automatically adjusted to match your language choice for main game. 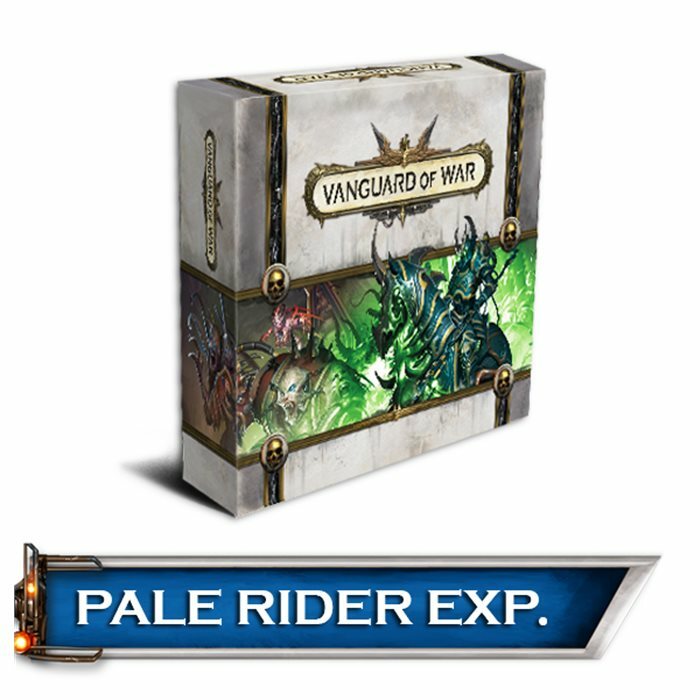 Pale Rider expansion brings you miniature of Pale Rider overlord, 3 corresponding Overlord cards and 6 Event cards. Default language is English but it will be automatically adjusted to match your language choice for main game. 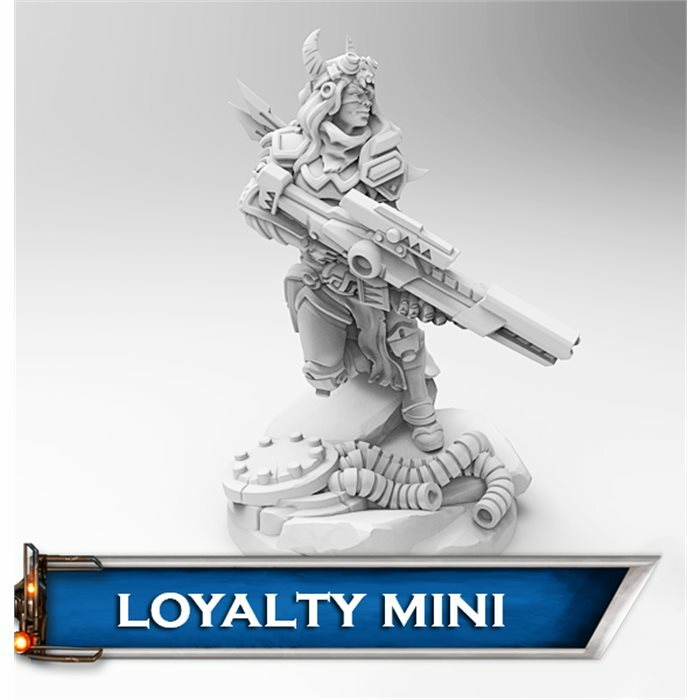 Any Vanguard of War backer who also backed LOAD will get for free one Loyalty miniature to be used as Vanguard of War hero. Those who missed LOAD campaign have a chance to complete their collection with this add-on. 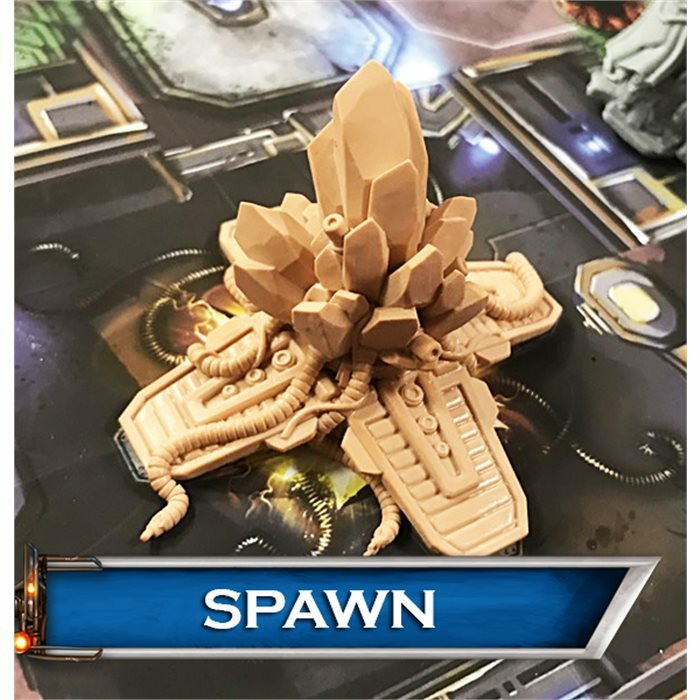 Enrich your gameplay experience by adding these models of Spawn Points and Church Crystal to your pledge! Five models in total. If you want Vanguard of War base game (English) to shipped to you as soon it's production is done (which is expected to be in June), you can do it by adding this to your cart. The rest of your purchase will be sent by the end of the year, as noted on Kickstarter.